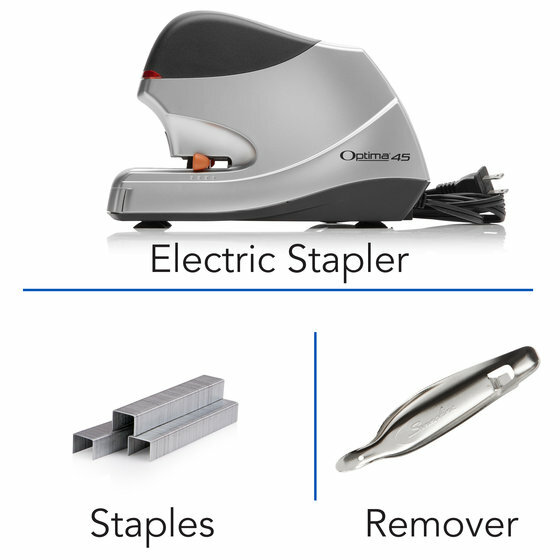 This value pack comes with everything needed to introduce quick and effortless stapling to your workplace. 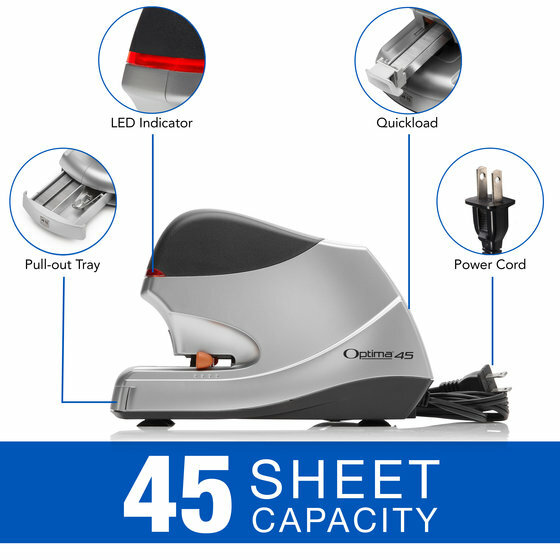 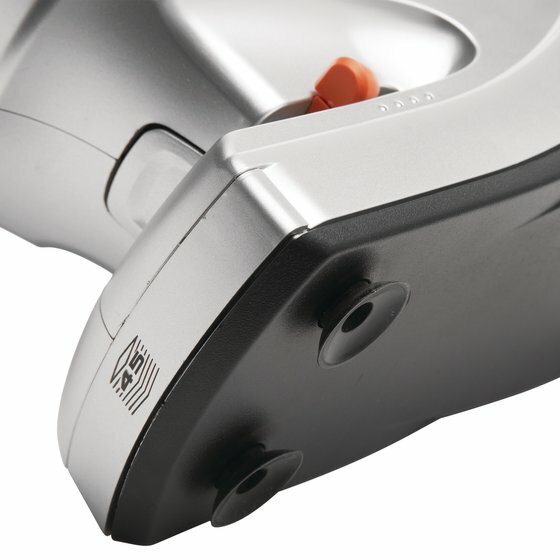 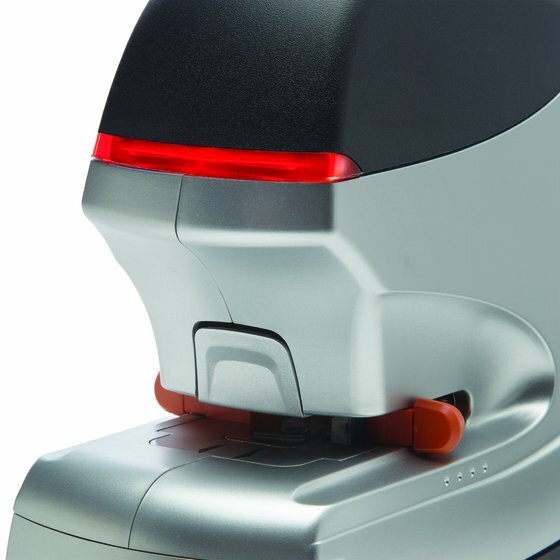 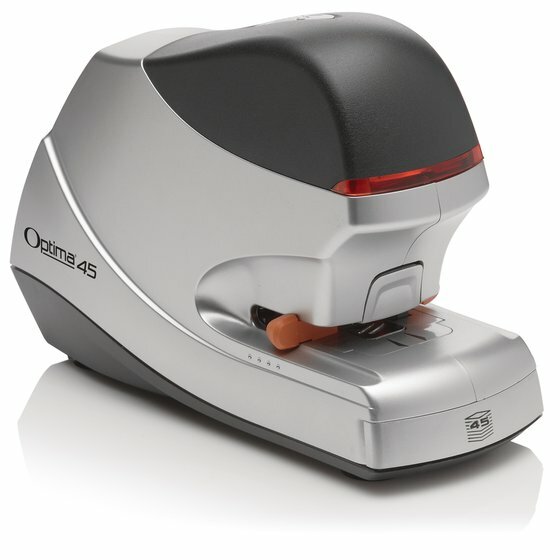 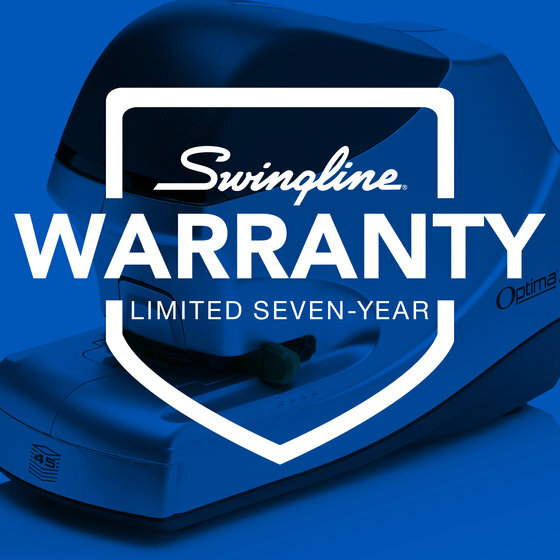 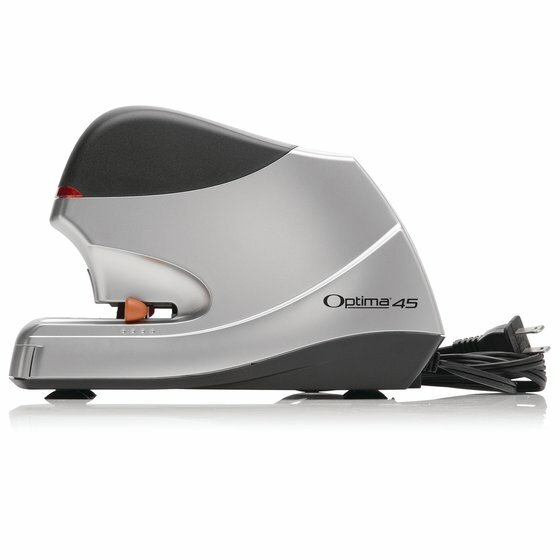 Able to handle twice the amount of sheets than other electric staplers, the Optima 45 Stapler ensures that large jobs are stapled with ease. 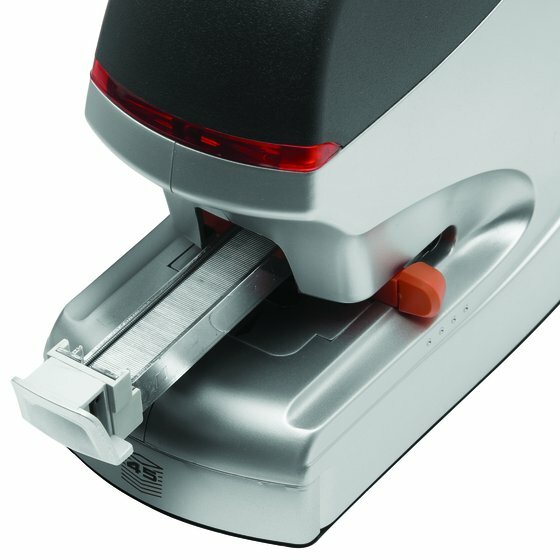 The included staples reduce the risk of frustrating jams, while the remover is easy to keep handy for quick staple removing. 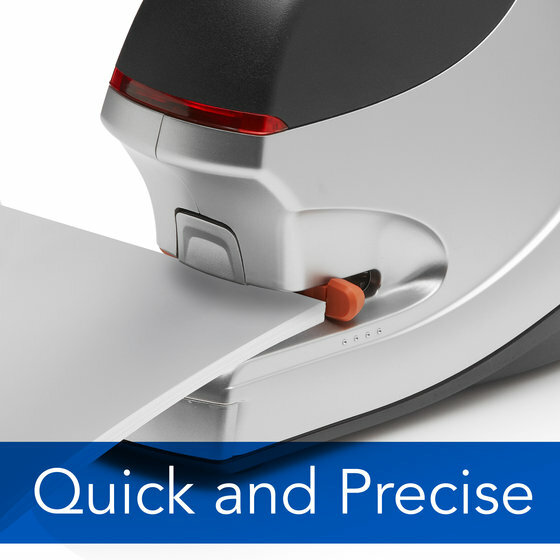 QuickLoad™ feature allows front staple magazine to eject quickly and easily with the press of a button. 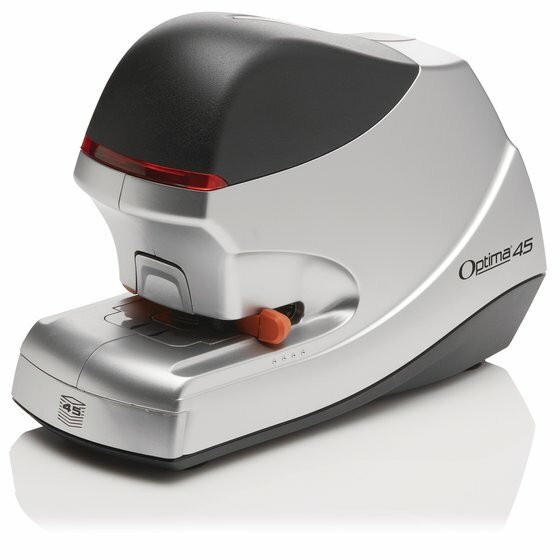 Plus, low staple indicator alerts you when staples are running out. 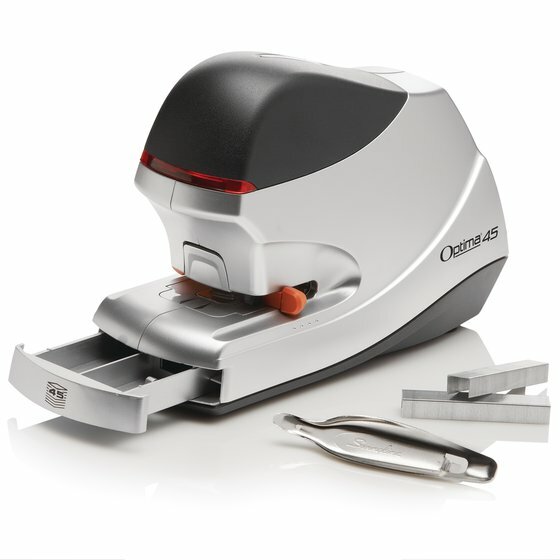 Included staples easily pierce through papers, reducing the risk of jams. 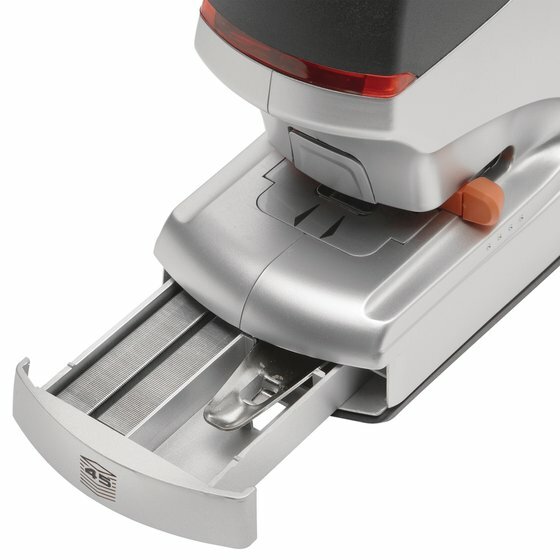 3/8" staple leg length is ideal for bigger jobs.